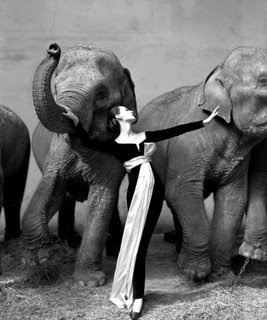 of these vintage fashion photos as much as I did. 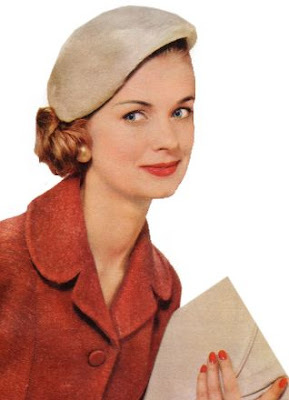 Most of the photos were taken in the 1950's, and so many of the styles could easily be worn today. Some might need a little updating here or there, but the majority of them are still just as feminine, lovely, and classic as they were back then. I had so much fun browsing through them! 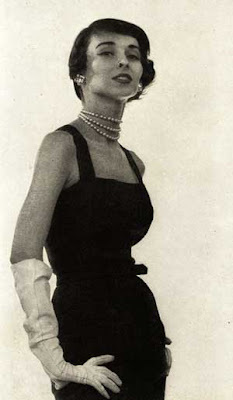 A photo of model Suzy Parker--I love her hair! Aren't her pearls and long gloves lovely? How glamorous can you get? 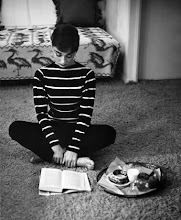 The epitome of the classic '50's "girl-next-door" beauty. Her perky, short hair and coat are just fabulous! Isn't this lovely woman the picture of Parisian high fashion? 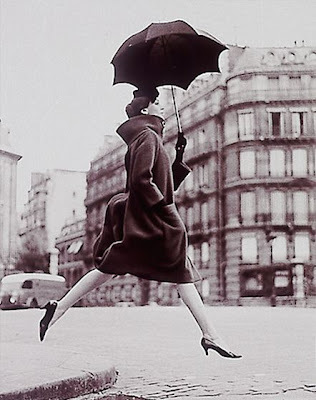 Paris...an umbrella...lovely high-heeled shoes...what could be better? Oooh, thanks for sharing the pictures! I LOVE that girl-next-door hat! One of my friends found a hat almost exactly the same in a thrift store, and I got to try it on. It's such a cute style! I also like her big earrings. I'm always a little scared to wear big earrings because they look so very, very big just sitting there... but if you put them with the right outfit, they can look very subtle and discreet, and not at all distracting. 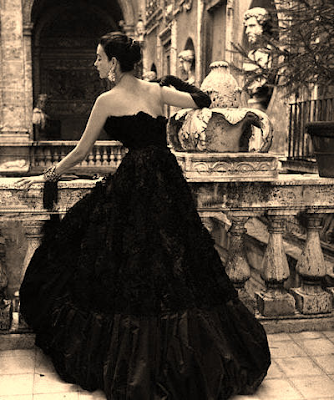 I just have to reproduce those three dresses in the last two pictures. They're so gorgeous! Oh thanks ever so for sharing Emily!! I LOVED looking through them. Wouldn't it be wonderful to dress like that every day? Wow! I just love the "all dressed up" dresses. Whenever I watch old movies, I wish they made dresses now like they had then. So lovely! Cant believe i found someone that enjoys vintage fashion as much as i do! 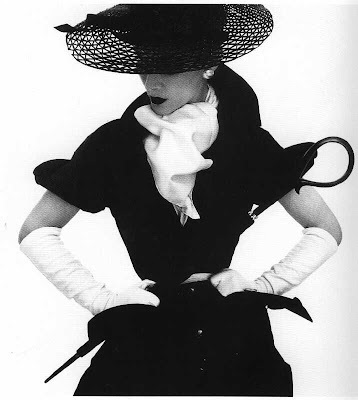 I love the 50s era - so glamourous and classic! Thanks for sharing (and making me swoon over the dresses). You need attitude to carry off big earrings. I love Audrey Hepburn and Grace Kelly from that period. They always looked so classic and fabulous. Too bad we don't wear gloves any more. And in my small town, if you wear a hat of any kind, they think you are a little wacky. You can wear a baseball cap but no hats. Pfft, who cares if you look wacky. I adore old fashioned styles. I wear vintage dresses and skirts and hats everyday. My town's teenagers probably think I'm a freak, but who cares. And actually a couple have complimented me. And for some reason I get more compliments from boys too when wearing my old fashioned knee length outfits. Vintage stuff is amazing. Everyone was so much more classy back then! I want to go back in time. I swear I was born in the wrong era. Oh, I love 50's style! Those dresses and everything! So glamorous and beautiful. I wish I could have lived in the 50's.